In addition to excellent products, we offer you a very good margin and a high potential for customer loyalty. As more and more service is required nowadays, we offer you a large product portfolio that facilitates customer loyalty. 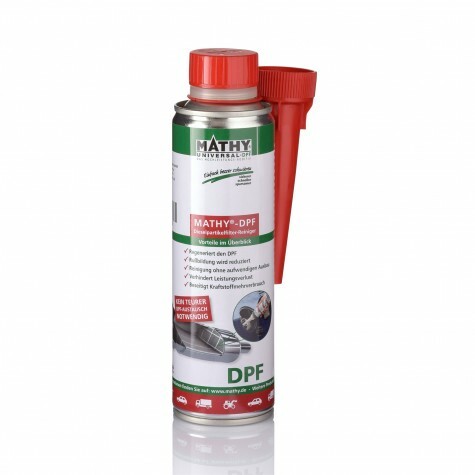 Help your customers to fix the problems of their vehicles with additives instead of always carrying out expensive repairs. A loyal and satisfied customer will be the result. We are on hand with help and advice. Marketing support, technical support and employee training helps you to market the products. Our more than 70 years of experience in the development of lubricants enables you to stand out from the competition and to offer customer-oriented solutions to problems. Get this competitive advantage over other service providers. 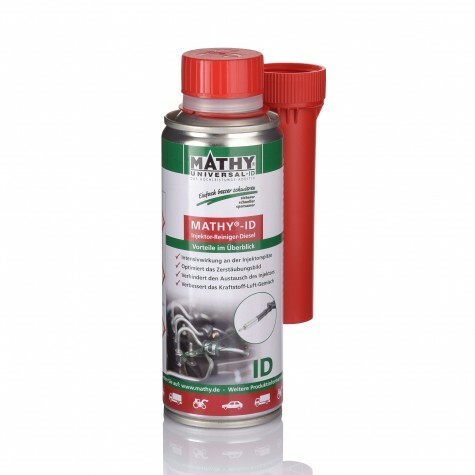 MATHY products sustainably contribute to maintaining the value and extending the service life of your customers' vehicles. 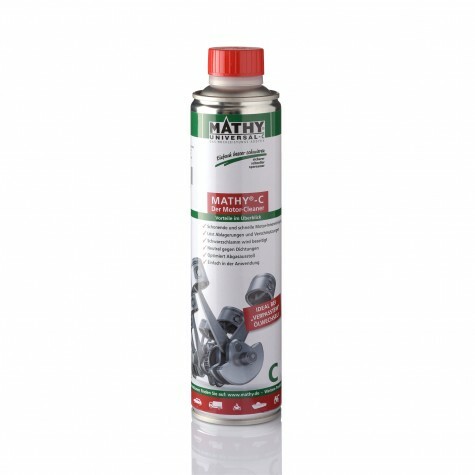 MATHY products are only available from specialist retailers. We guarantee price stability and thus constant margins. Who can become MATHY distributor? MATHY products have been tested and certified by TÜV since 1994! Why should you rely on Mathy additives in the workshop business? Because you can increase your profit without much effort. 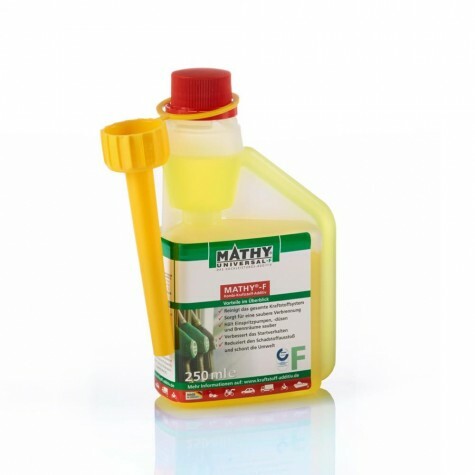 Why rely on MATHY additives? Why should I help my customers with additives to solve problems with their vehicles? The competition in the dealership / workshop business is getting increasingly fierce. Thus, it is important to look for niches that not every competitor uses to gain an advantage before others follow suit. The additive business is one of those niches, and we, the MATHY Company, can help you to stay competitive and provide the best possible service to your customers. With MATHY products, you offer your customers the opportunity to easily solve vehicle problems and protect them from unnecessary expensive repairs. Of course, MATHY products are no "miracle cure" for defective parts. However, a stuttering engine or a hooked gearbox is no reason to replace the corresponding unit. 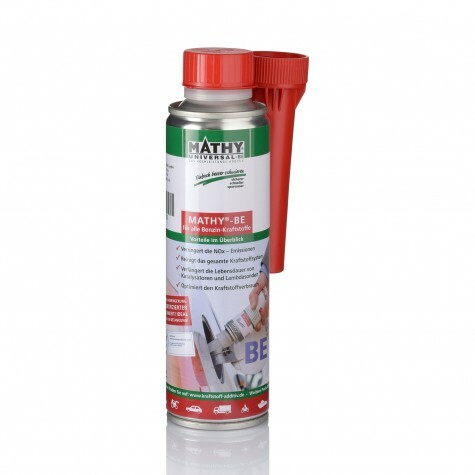 Rather, with the MATHY products you now have the opportunity to reduce wear in the units and to solve minor problems. These customers remain loyal to you because of your expertise in protecting them from high expenses and trust you and your service team to handle all other necessary repairs of your vehicle. Why is it important to actively offer additives? The largest problem of today's engines is the increasing amounts of biofuels in all common fuels of all leading manufacturers. Consequences for the fuel system: "dirty" combustion - deposits - loss of power - increasing consumption - higher pollutant emissions. Consequences for the oil system: fuel enters the system - oil thinning - worse lubricating effect - risk of engine damage. Mathy additives can help prevent these negative consequences. A lot of times the customers are not aware of the positive effects of additives. You should actively suggest using additives to your customers. Since the effectiveness and reliability of Mathy products have been proven time after time your customers will be satisfied with your suggested products and will return as a customer. What are the benefits of marketing MATHY products? Our dealers make sure that they keep the recommended retail prices. Advantage: No price dumping. Meaning: Constant margins are achieved. Almost all MATHY products have been tested for effectiveness by TÜV. Your advantage over Internet merchants: Personal advice and no shipping costs for the customer. Technical support via hotline and employee training. Marketing support: flyers, brochures, posters, mirror tags. Joint marketing campaigns are possible (press, supplements, serial letters). How can collaboration with us look like? On the one hand you can work on your own account, buy the products at a discount and sell them to your customers. On the other hand, you can act, e.g., as a technical sales representative, and sell our products on a commission basis. That means you provide technical advice to customers and offer and sell the products to them. In this case you will receive a commission or a piece premium for each sale. Let us advise you on the various models of cooperation.